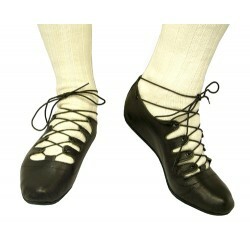 We stock a selection of Scottish Dancing shoes from several suppliers. The preferred choice of World Champion Highland Dancers. A popular straight-lasted Ghillie with an open-front look for Highland Dancers or Scottish Country dancers who prefer a narrow fitting Ghillie. 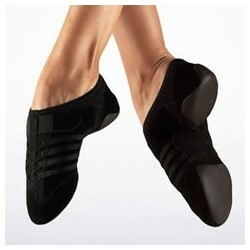 Extensive size range from Child 9 - Adult 10 1/2 in half sizes. All shoes are fitted with in-built Poron Shock Absorber technology as standard. 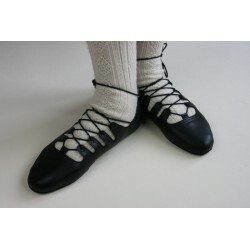 The Braemar Ghillie is a high quality shoe made by the well known shoemaker, James Senior. An extensive size range is available from Child 10 - Adult 13½ in half sizes, and a wider fitting version. All shoes are fitted with in-built Poron Shock Absorber technology as standard. Also available in Red, Blue and Green.